I Have connected the Blue wire to the C terminal on a 3rd Generation Nest and to the Blue wires on the Transformer....... But the Nest Thermostat does not show the Blue wire connected on the Equipment Detected Page of the Nest Thermostat. The Problem is the Heater Has Short Cycles when heating. Nest support folks say a C wire is needed. The Nest is colorblind. It has no idea what color your wires are. 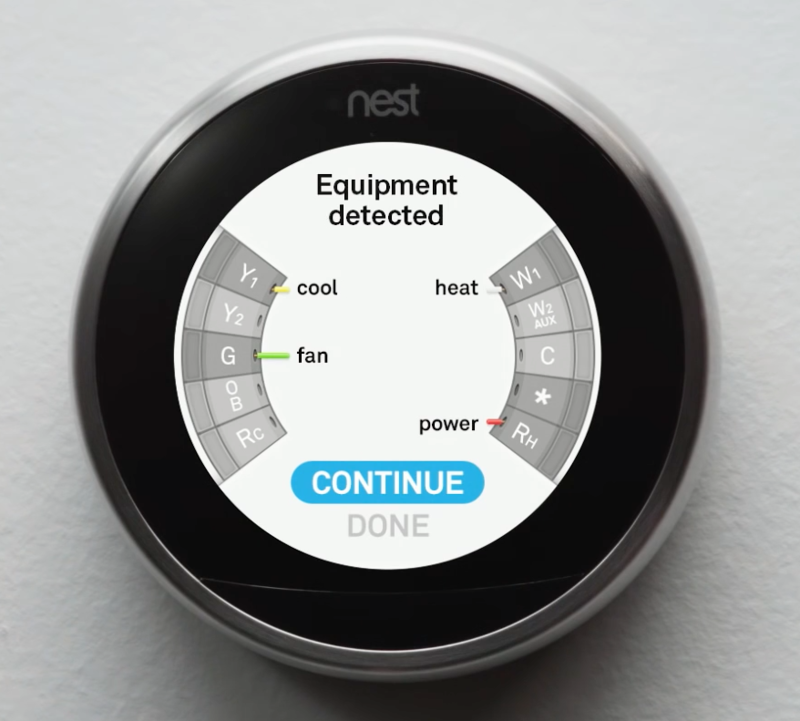 The cutesy little Nest screen will show wire colors, but it's wild-guessing based on commonly used wire colors. In this example, the W wire might actually be brown, the G could be orange. The wire colors on the display mean nothing. There is no official color code for the C wire, since it wasn't traditionally used in thermostats. You can use any color, as long as that wire isn't being used for something else. The essential thing is that the C wire connects to the 24V side of the transformer, on the terminal which is not the one the R wire goes to. Connecting C and R to the same terminal of the transformer would do nothing, and the Nest display would probably show C as not connected. Whatever the Nest display is indicating about the "Blue" wire is irrelevant. It doesn't know or care what color you are using for the C wire. Blue is not an official color for the C wire, actually Blue and B are commonly used to switch a heat pump from heat mode to cool mode. If you don't have a heat pump and the wire color is unused in your cable, steal it for C.